MaryAnn returns to this place of worship following twenty years as Music Director/Organist at St. Richard’s Anglican (now Julian of Norwich) and All Saints Lutheran. Her passion is the Eucharistic Liturgy of the church, from its ancient Jewish roots to its modern expression in the Roman Catholic, Orthodox and Protestant (Anglican and Lutheran) communions. She has been active in church music since the age of 17, studying Piano, Violin and Organ along her Liturgical journey. 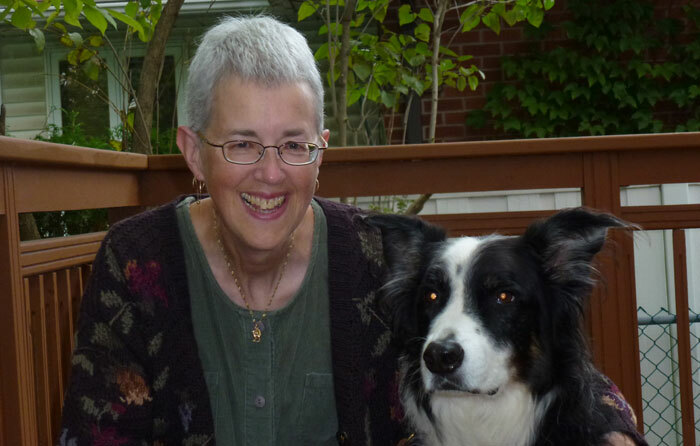 She is currently a member of the Royal Canadian College of Organists, and has been the Organist at St. Maurice Roman Catholic Church for over twenty years. MaryAnn encourages all members of our congregation to join in a small instrumental group with their instruments and voices to help make Martin Luther’s Music Ministry an example of shared commitment and friendship. MaryAnn is also a great lover of animals and spends a large amount of time working with troubled dogs in particular. She is currently an apprentice of Dog and Horse Behaviourist, Jane Madigan. You’ll be able to watch her working with her own two “troubled” dogs on Jane’s on-line training school in the near future!! !